The everyone’s favorite Windows OS also rely on the hundreds of services and processes that keep running continuously to provide you the essential features. They may be present in the background as well as the foreground. We don’t know about each and every service, or the function it has. 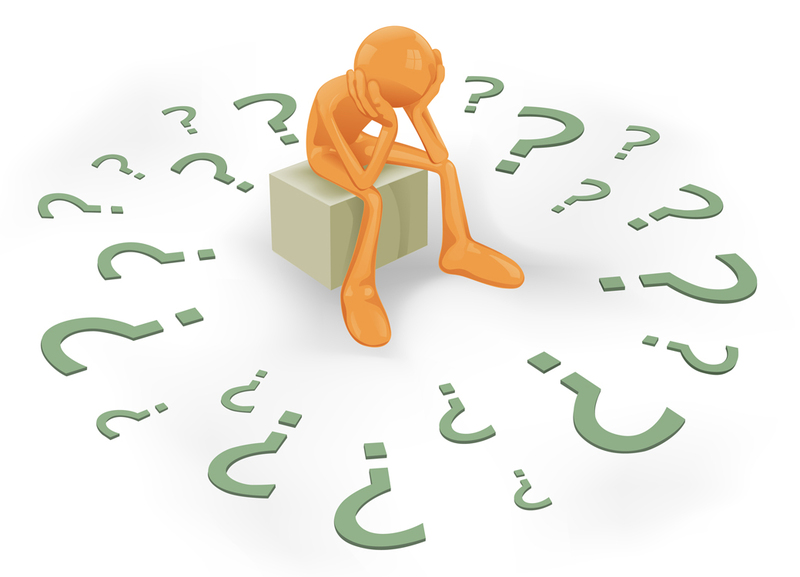 So, when we get to know about it, we end up thinking whether it is safe or not, or if it is needed or not. In this post, we will check one such case. The CompattelRunner.exe service. The internet is full of forums with people asking whether it is safe, or a virus, or if we can delete it. I will present to you all the things you need to know about Compattelrunner.exe in the next 5 minutes. 1.2 2. What does it do? 1.3 3. Where is it situated? 1.4 4. Is it safe or is it a virus? 1.5 5. Is it needed? 1.6 6. Can we delete it? 1.7 7. What problems may it cause? 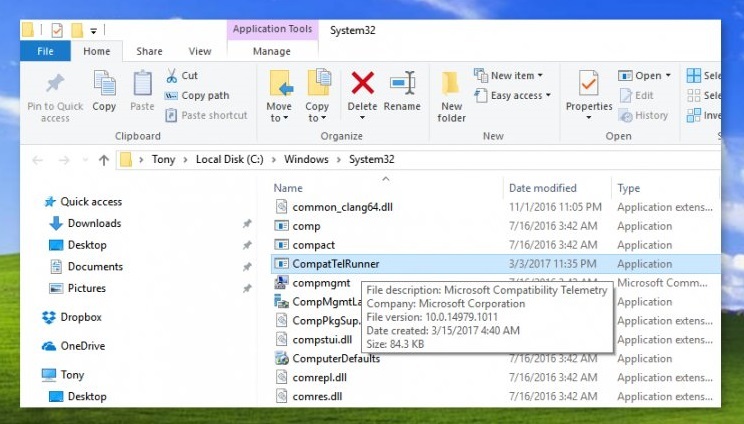 Basically, Compattelrunner.exe is a Windows process, but people doubt it because sometimes a malware or spyware may acquire the pseudonym as the Commpattelrunner and starts creating issues in the computer. I will tell you everything you need to know in order to clear your doubts here. Just keep your eyes fixed to the screen and mind open. Compattelrunner (.exe) is an acronym for Compatibility Appraiser Telemetry Runner. The .exe file extension with it shows that it is an executable file. It is is a Windows process, that does its assigned function and it has nothing harmful for the system. It may lead to some issues that we’ll discuss in the later sections. It is used to upgrade your system to the latest OS version or other Service Pack upgrades. 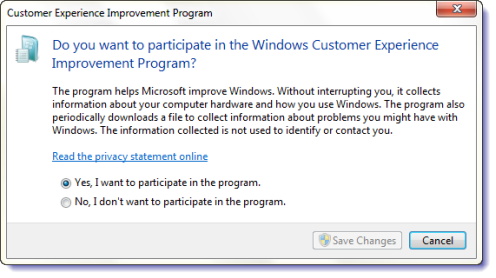 It also performs diagnostics on your computer to determine if there is the possibility of compatibility issues and collects program telemetry information if selected-in to the Microsoft Customer Experience Improvement Program. This service allows Microsoft to ensure compatibility when you want to install the latest version of Windows OS. 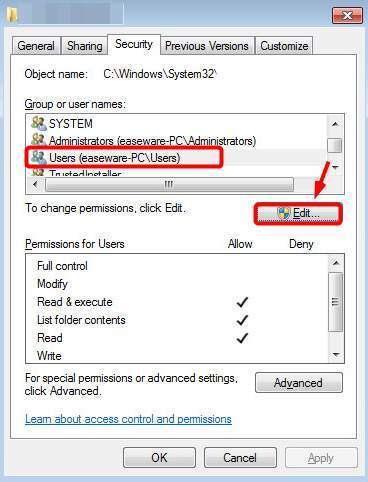 This process is a component of a Windows Update, specifically the KB2977759 one, which stands as the Compatibility update for Windows 7 RTM (Release to Manufacturer). The update is one of the many that serve as a preparation to upgrade to the latest OS version of Windows. These were the basic functions of Compattelrunner. 3. Where is it situated? The Compattelrunner.exe file is situated in the System32 folder. It is owned by the TrustedInstaller. Any modifications or deleting you try will be denied with an “Access is denied” messages. This means that you can’t modify or delete it in by any chance. This happens because the process is owned by TrustedInstaller, and everything else only has a Read Only permission over it and you can’t modify it accordingly. 4. Is it safe or is it a virus? 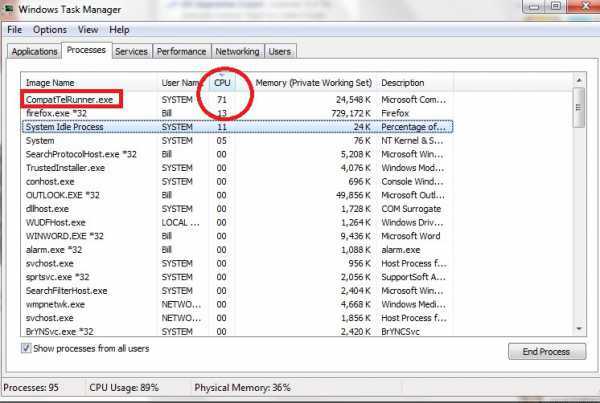 The real CompatTelRunner.exe is a trusted Windows process and so, it is completely safe. It is NOT a virus. However, sometimes a virus, spyware, or malware may disguise itself using the name of the Compatttelrunner process. The method to differentiate between the original Compattelrunner and the virus Compattelrunner is its location. If you see a same-named file in a location other than the original mentioned location, you should delete or kill it using the antivirus as soon as possible. When this happens, and you do an antivirus scan, the software shows Compattelrunner as a threat. This is the reason why people online doubt it and consider it a virus. The original process won’t infect or harm your computer. Although, it may arise certain issues that lead to the heating and slowing down of the computer. The process performs it assigned function of checking for updates and compatibility from time to time. You don’t have to manually check for these only because of this process. However, this doesn’t mean that the process is vital. It is useful, but not really needed. Let it run if you want Microsoft to diagnose your system by itself and run the compatibility checks. For some people, this is also a privacy concern. So, if you want, you can also delete it. I informed earlier that you can not make any changes to file or delete it. But, there is still a way to delete it. I’ll tell you that in the next section. 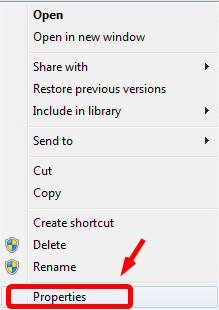 Another way to get rid of it is to let the program stay, and just disable Scheduled Tasks which launches the program. 6. Can we delete it? 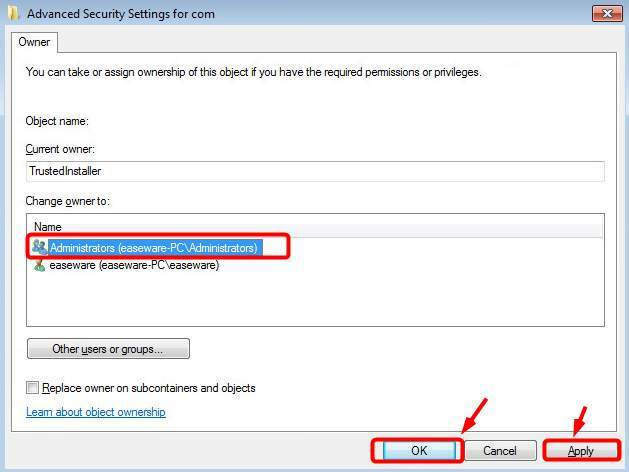 Step-1: Log in the computer as an administrator. 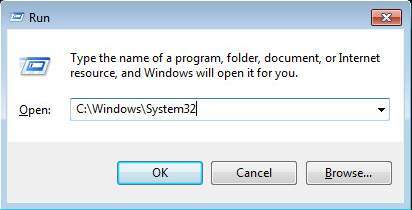 Step-2: Press the Windows + R key together to invoke the Run dialog box. Type C:\Windows\System32 in it and hit Enter. Step-3: In this folder, locate the Compattelrunner.exe folder. Right-click on it and choose Properties. 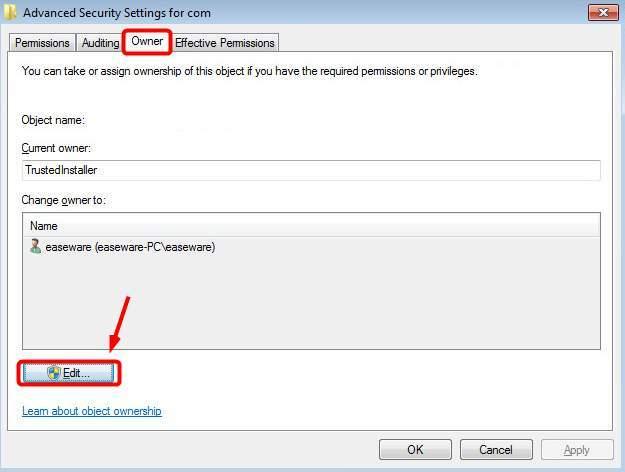 Step-4: Now switch to the Security tab, and then click on the Advanced button. Step-5: Next, switch to the Owner tab, then click on the Edit button. 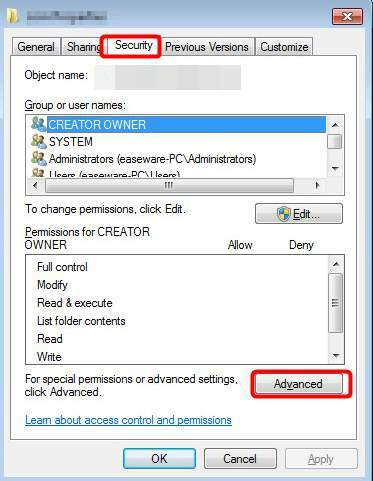 Step-6: Then you’ll be able to choose as Administrators. Afterward, click on Apply and then OK to save the changes. Step-7: A notification dialog box will pop up. Close all the properties windows first and then, click on OK to move further. 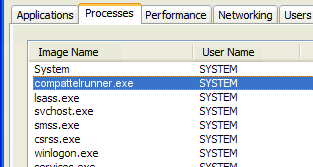 Step-8: Now right-click on Compattelrunner.exe and choose Properties again. Next, switch to Security tab and click on the Advanced button. Then, move to the Permissions tab, and select the account you are using from the list and click Edit. 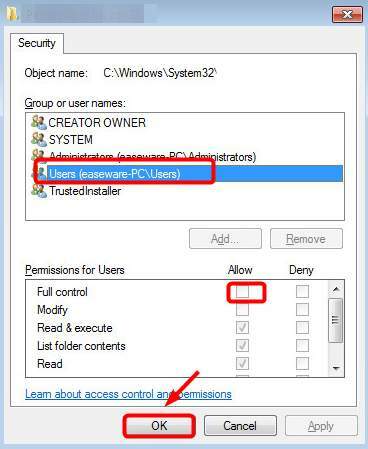 Step-9: Finally, choose the user account that you are using and click the Allow box for Full control. Click on OK to save the change. Now you can simply delete the CompatTelRunner.exe file with a single click. I’ll still suggest thinking twice before doing this. 7. What problems may it cause? Compattelrunner is an executable file and so it may it cause certain issues that lead to the heating, slowing down or freezing of the system. The major problem that this process may cause is the Compattelrunner high disk usage issue. If you are suffering from this high disk/CPU usage issue, we have an entire post dedicated to How to fix the Compattelrunner high disk usage error. Go through it, and you’ll be able to solve the problem within minutes. This is all you need to know about Compattelrunner.exe in Windows 10. For further information, you may visit the official Microsoft forum related to it. For any doubts, queries, or suggestions, feel free to visit the comments section. I’ll be glad to listen to you. Hope I helped you to clear the mist in your mind about this particular process.